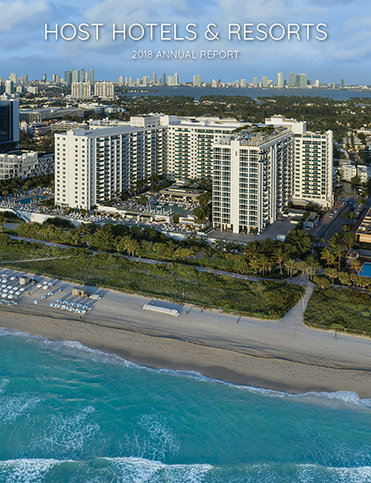 We feature an impressive, unmatched portfolio of premium assets in prime locations. Through a combination of appreciation in asset values, growth in earnings and dividend distributions, our goal is to generate superior long-term risk adjusted returns for our stockholders. Having one of the best balance sheets among lodging REITs, curated by our highly regarded management team, helps us to execute our strategy regardless of the economic cycles. Data delayed by up to 15 minutes. Price Quote as of 04/25/194:00 p.m. ET . Supplied by Nasdaq.